The internal branch of the superior laryngeal nerve (ibSLN) may be injured during anterior approaches to the cervical spine, resulting in loss of laryngeal cough reflex, and, in turn, the risk of aspiration pneumonia. Such a risk dictates the knowledge regarding anatomical details of this nerve. In this study, 24 ibSLN of 12 formaldehyde fixed adult male cadavers were used. Linear and angular parameters were measured using a Vernier caliper, with a sensitivity of 0.1 mm, and a 1° goniometer. The diameter and the length of the ibSLN were measured as 2.1±0.2 mm and 57.2±7.7 mm, respectively. The ibSLN originates from the vagus nerve at the C1 level in 5 cases (20.83%), at the C2 level in 14 cases (58.34%), and at the C2–3 intervertebral disc level in 5 cases (20.83%) of the specimens. The distance between the origin of ibSLN and the bifurcation of carotid artery was 35.2±12.9 mm. 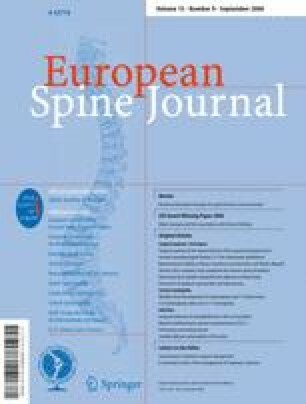 The distance between the ibSLN and midline was 24.2±3.3 mm, 20.2±3.6 mm, and 15.9±4.3 mm at the level of C2–3, C3–4, and at the C4–5 intervertebral disc level, respectively. The angles of ibSLN were mean 19.6±2.6° medially with sagittal plane, and 23.6±2.6° anteriorly with coronal plane. At the area between the thyroid cartilage and the hyoid bone the ibSLN is the only nerve which traverses lateral to medial. It is accompanied by the superior laryngeal artery, a branch of the superior thyroid artery. The ibSLN is under the risk of injury as a result of cutting or compression of the blades of the retractor at this level. The morphometric data regarding the ibSLN, information regarding the distances between the nerve, and the other consistent structures may help us identify this nerve, and to avoid the nerve injury.